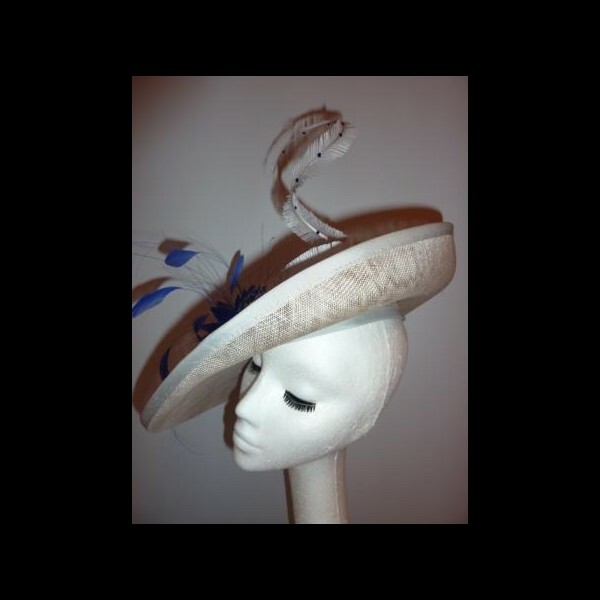 In soft pearl grey sinamay, this hat has a pillbox shaped crown with an angled brim. 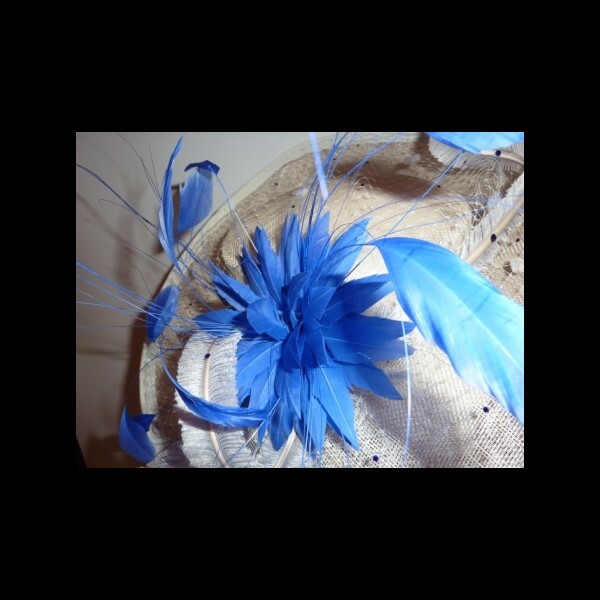 Finished with a striking royal blue feather flower. 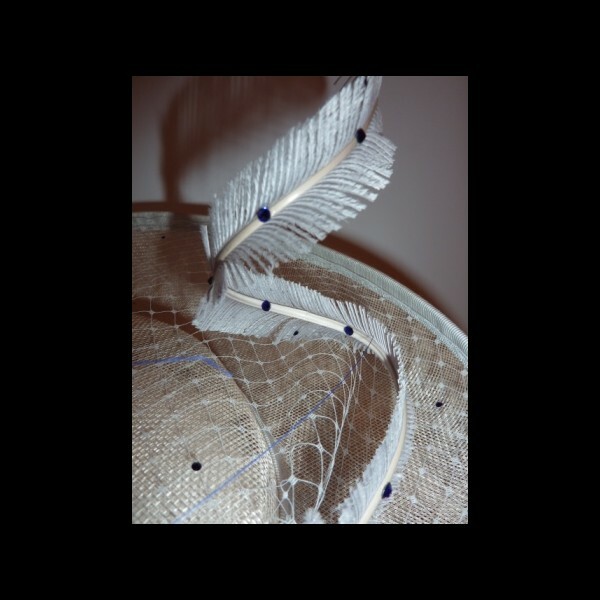 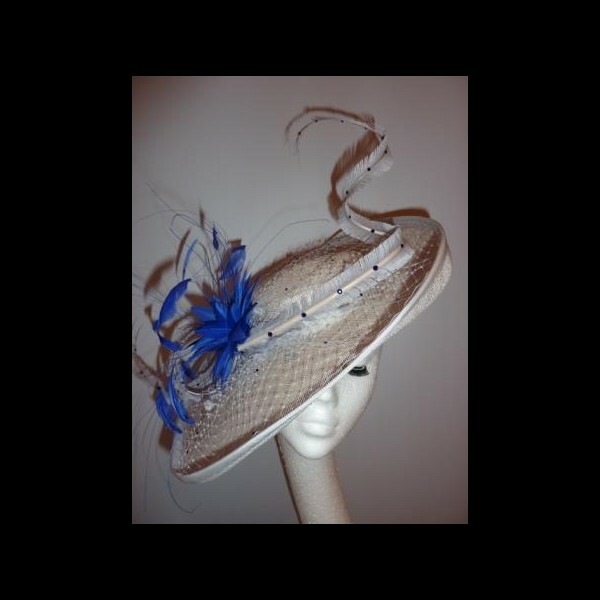 The hat is swathed in matching pearl grey veiling, to the front a 'pop' of colour with a Royal Blue large feather flower. 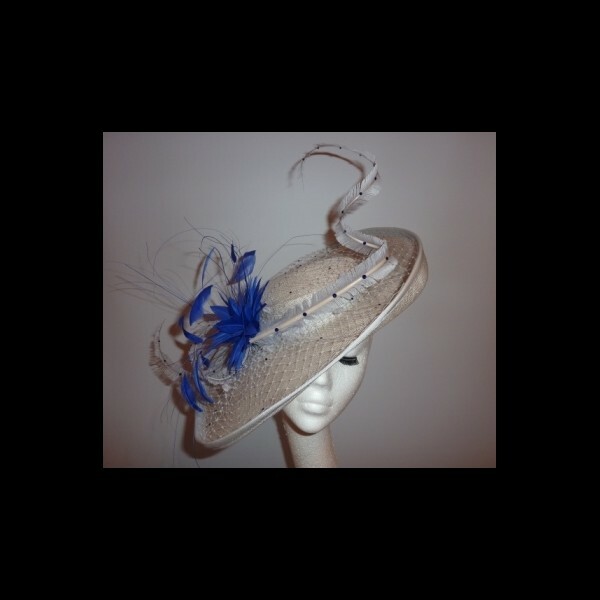 Finished with a sprinkle of Swarovski crystals in a toning shade of blue. 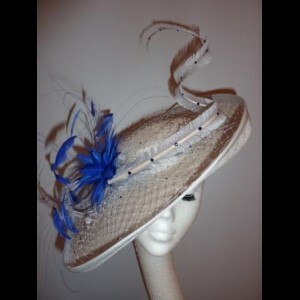 This style is available by bespoke order in a myriad of alternative colours.